I had the opportunity to once again become a food tourist in Florida this March. The weather was perfect on Anna Maria Island and I enjoyed the sunshine almost as much as the wonderful places we went to eat. 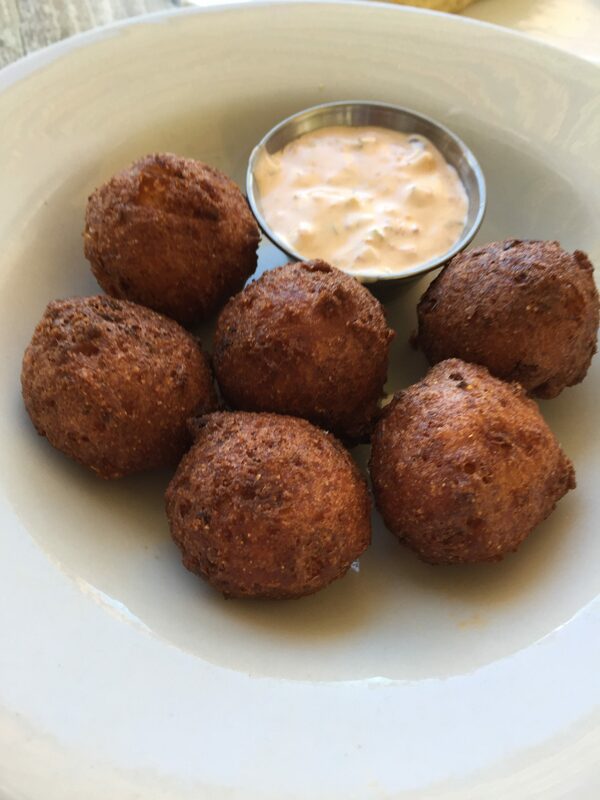 One can hardly go to the South without ordering hush puppies at least once. These are from The Sandbar, a great spot right on the ocean. They were hot, crisp, and spicy. True nosh. 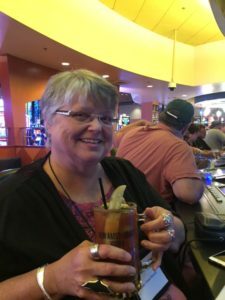 This entry was posted in Florida 2017 reviews, Uncategorized and tagged Noshes Up North Review, The Sandbar on April 17, 2017 by MaryGrace. I have been to The Cannery on several occasions to browse their market. Proudly on display are specialty foods, many I’ve heard of on cooking shows, but never seen. A large selection of cheese and meat is also offered. A deli is in the middle of the market with fresh salads and sandwiches. A lot of time slipped away from me as I read labels, and tried some of their samples. This market spotlights wholesome, simple food, raised by local farmers. A couple of weeks ago, I ate lunch there for the first, but not the last, time. A friend had recommended it and asked me to go with her to see what I thought. I was thrilled to accompany her. I ordered the black and blue burger which boasted Wisconsin Black River blue cheese, pecan smoked bacon, portabella mushrooms with an A-1 aioli sauce on a homemade bun with Cannery hand cut fries. Most yummy. I wouldn’t hesitate to order it again. 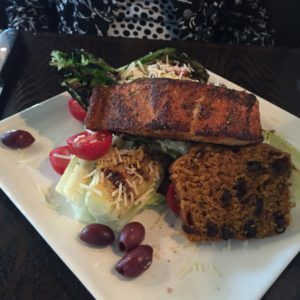 My friend chose the blackened salmon. 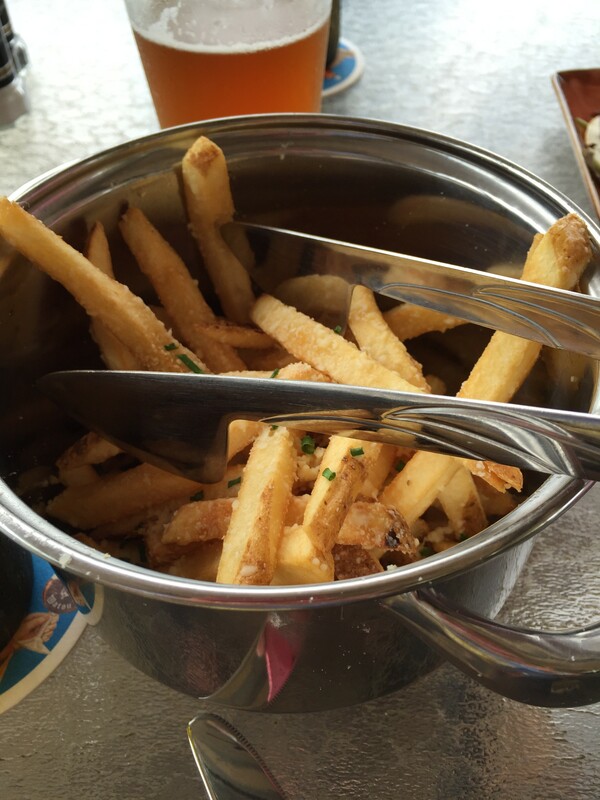 It came with fingerling coins sautéed in garlic and shallots, finished with a lemon and champagne caper sauce. She said it was excellent. My friend also ordered a scallop appetizer which she shared with me. It was small, two scallops, but a joy to the taste buds. The beautiful presentation was a delight. The delicately cut vegetables, spicy sauce, and crispiness on the top of the scallop made me realize once again that quality overpowers quantity. I suggest you take a walk through The Cannery and enjoy all that it offers. I don’t think you’ll be disappointed. 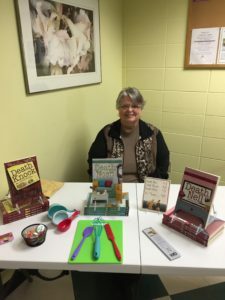 This entry was posted in General, Noshes Up North and tagged Green Bay restaurants, The Cannery Public Market on December 6, 2016 by MaryGrace. 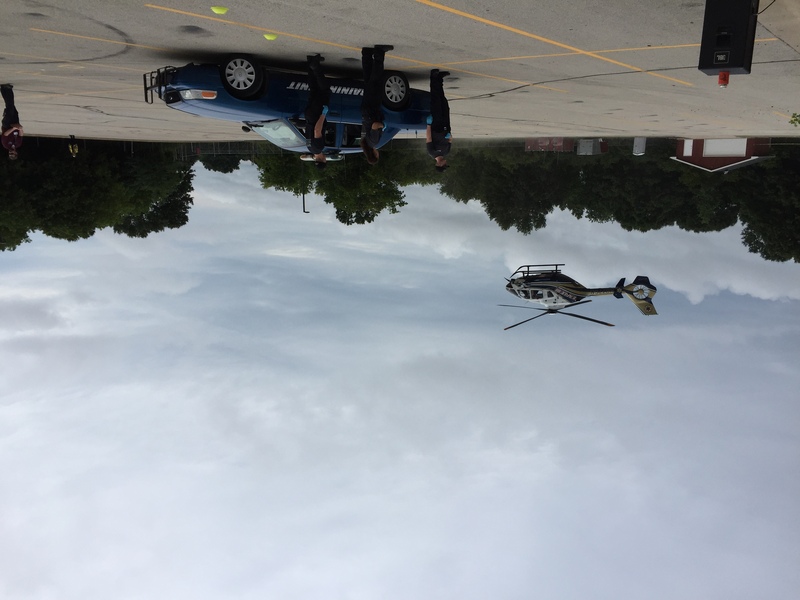 Hundreds of crime/mystery writers swamped Green Bay August 11-14 for the eighth annual Writers’ Police Academy. They came from all over the United States and other countries. One author came from Bangkok. I almost feel guilty that I only had to drive thirty miles. Almost. 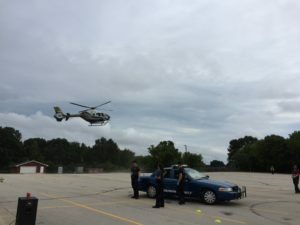 On Friday morning, the Eagle III rescue helicopter appeared to transport the injured from an accident simulation. We were able to see how EMS react to a deadly collision. 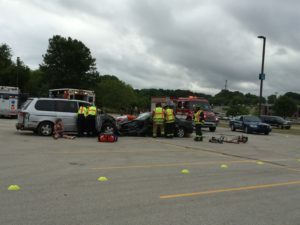 We viewed a “deceased” person on the hood of a car and live bodies pulled out after the jaws of life was employed. On Saturday morning as we were in the lecture hall for announcements, we heard someone screaming for assistance. He had been stabbed and soon other people were also attacked. We were in the middle of a simulated mass assault. Luckily there was a rescue after police were called. They came in with guns and had us keep our hands locked on our heads for what seemed like a long time. They needed to make sure the perpetrator was not posing as one of us. Even though I knew it wasn’t real, my heart pounded harder and it was interesting to understand what is done in that situation. The entire conference was a learning experience as I attended many sessions, but there wasn’t enough time to do all that I would have liked. Maybe next year? I bet they’ll have new classes that I’ll want to attend, so I’ll probably never get to them all. Not a bad problem to have. 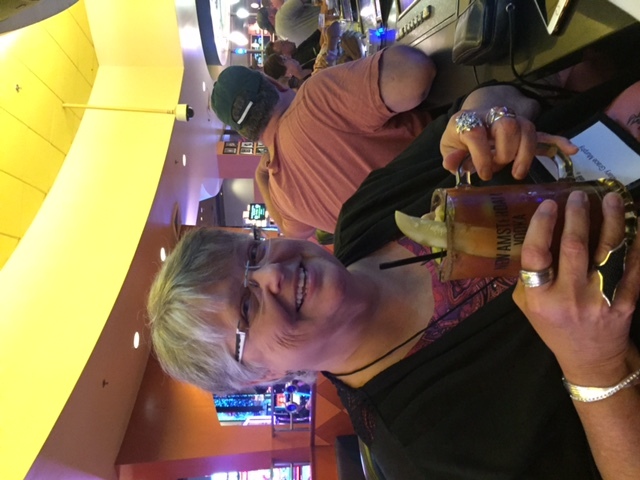 After all of the stress and excitement, I took a break at the casino in the Radisson before the banquet Saturday night. The keynote speaker was author Tami Hoag. 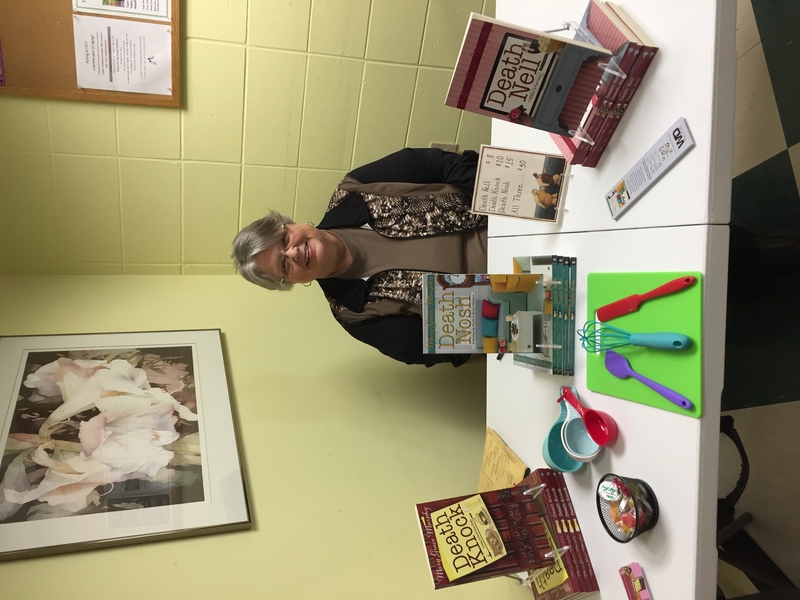 She was entertaining and I laughed out loud at her stories. 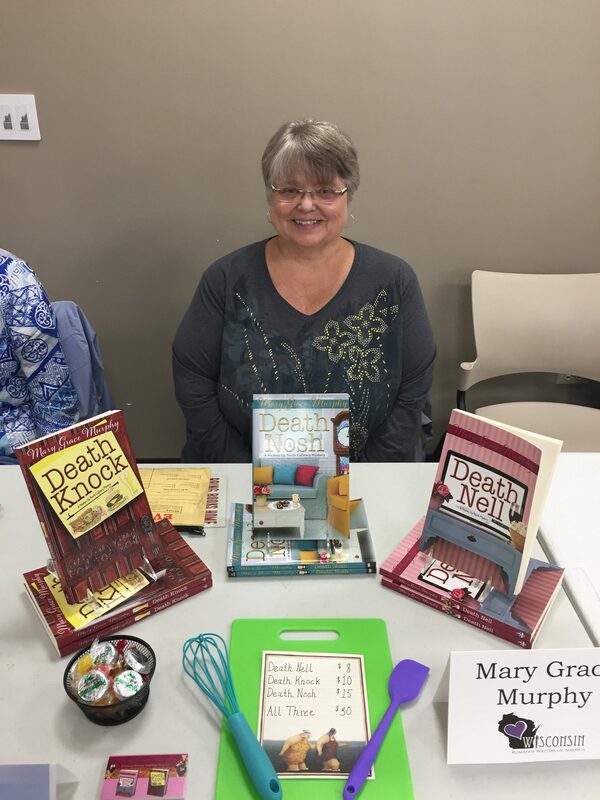 What a wonderful experience at Writers’ Police Academy 2016! 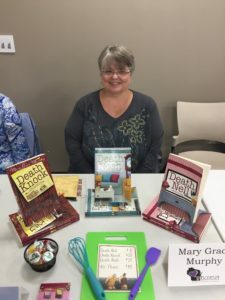 This entry was posted in General, Uncategorized and tagged Green Bay, Writers' Police Academy on August 17, 2016 by MaryGrace. Rubber Ducky, you’re the one! 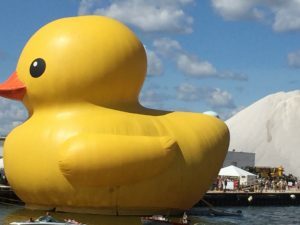 The largest rubber duck in the world made its way to the Tall Ship Festival in Green Bay. I took this picture from the water as some friends and I took a cruise on one of the ships. The huge sails were pulled up once we were on the water. Nine tall ships were on display including a possible replica of a Viking ship. We learned there is no actual blueprint for that ship, so it is the builders’ version from gathered information. 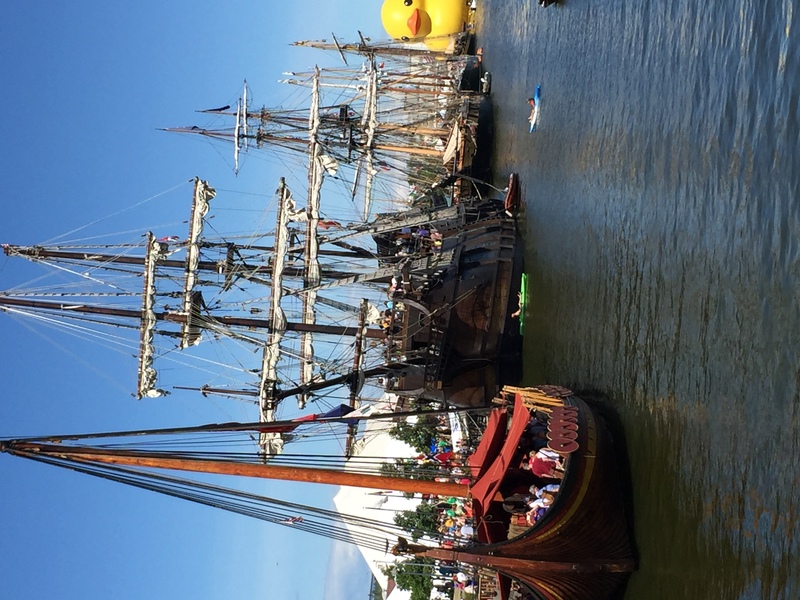 More tall ships were on the other side of the duck. I thought the rubber duck spoiled the vision of the long line of ships, but the kids at the festival seemed to enjoy it. Fun day! 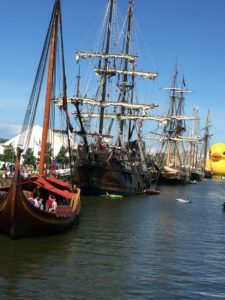 This entry was posted in General, Uncategorized and tagged Tall Ship Festival on August 16, 2016 by MaryGrace. A couple weeks ago a friend and I visited a charming supper club that I hadn’t been to in quite a while. The Boarding House in Suring was a real working boarding house years ago. My dining companion even mentioned her father stayed there as a young man working a job in Suring. To give you an idea of the place, picture the downstairs of a house. One room is the designated bar, one houses the soup and salad bar, and there are three dining rooms. The atmosphere is inviting and brought back a lot of good memories. I was delighted to see my favorite dish was still on the menu. 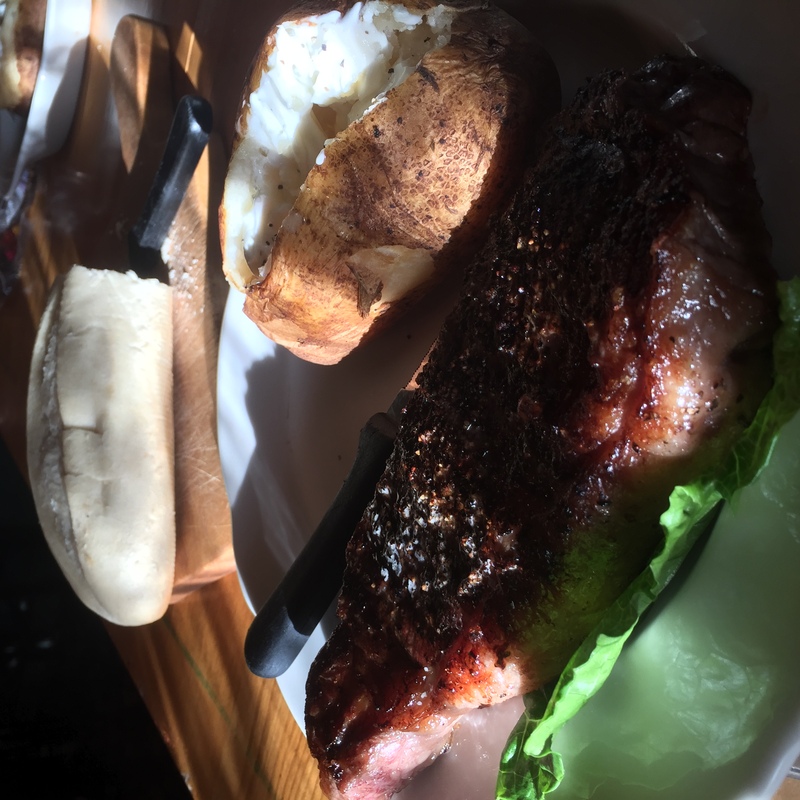 I again ordered the New York Strip with cracked black peppercorns with a baked potato. My friend chose steak, too, a ribeye. We hit their fresh and crisp salad bar and then ladled some comforting beef barley soup into our bowls. A warm loaf of bread awaited us on the return to our table. When our steaks arrived, mine was just as I remembered. It melted in my mouth. The peppercorns added a wonderful bite to an already scrumptious steak. All the sides were memorable also. The strip was large and I took half of it home and it made a tasty salad later. My friend said her meal was delicious as well. I usually don’t order steak, but prefer seafood. At the Boarding House I make an exception. 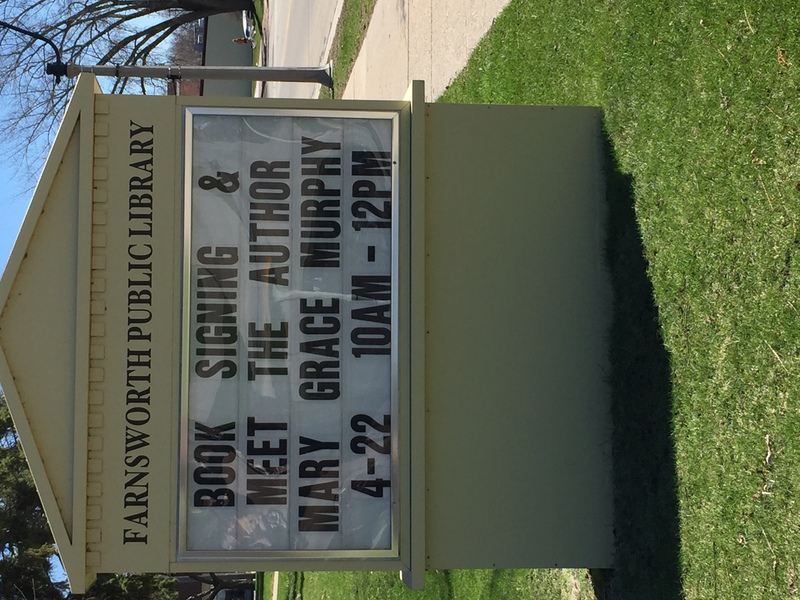 It’s a bit of a drive to Suring from Oconto, but we both decided it was well worth the trip. This supper club was one of my late husband’s and my favorite places to dine. I haven’t been there without him, which makes it fifteen years. But now I’m already thinking about going back. 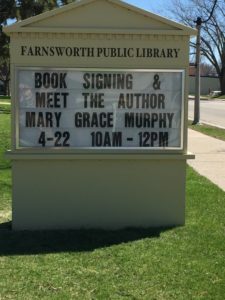 This entry was posted in General, Noshes Up North and tagged Supper Clubs, Suring, The Boarding House on July 12, 2016 by MaryGrace. 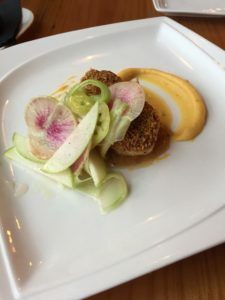 A few weeks ago, a friend and I visited Plae Bistro for lunch in Green Bay. We each had been there before, but not since their expansion. There are now three large and tasteful spaces with a good size bar and an outdoor area. Even though the previous area was cozy, we both appreciated the more upscale look. 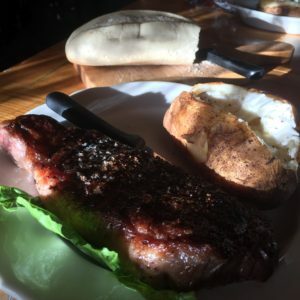 Now to the main event – our meal! My dining companion and I decided to try salads on this outing. Yes, you’re reading that right. I ordered the Grilled Shrimp and Beet Salad. 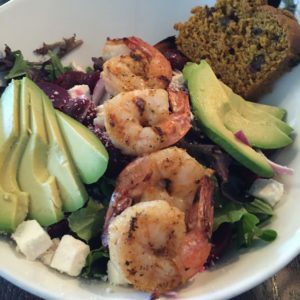 The shrimp topped crisp mixed greens, beets, avocado, red onions, and feta cheese. It was dressed with a Dijon vinaigrette. I have to admit this was one of the most delicious lunches I’ve ever had. It was definitely my favorite salad. 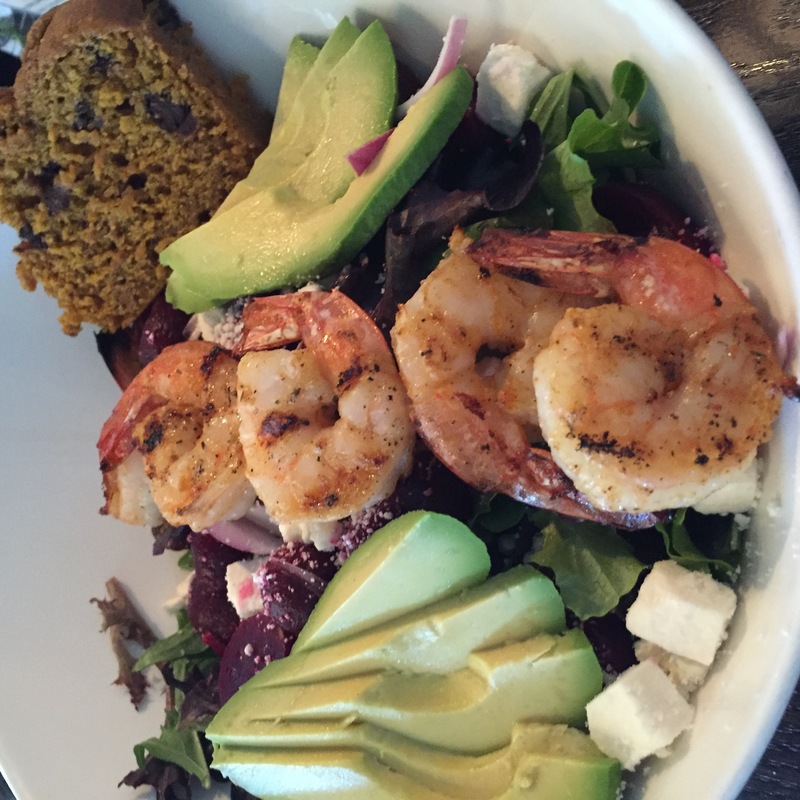 I love beets and avocado, but it was the flavor of the shrimp that sold it for me. I’ve thought about those shrimp more than once since then and I’m anxious to return and order it again. My friend ordered the Grilled Caesar Salad with Salmon, which was seasoned and drizzled with olive oil. 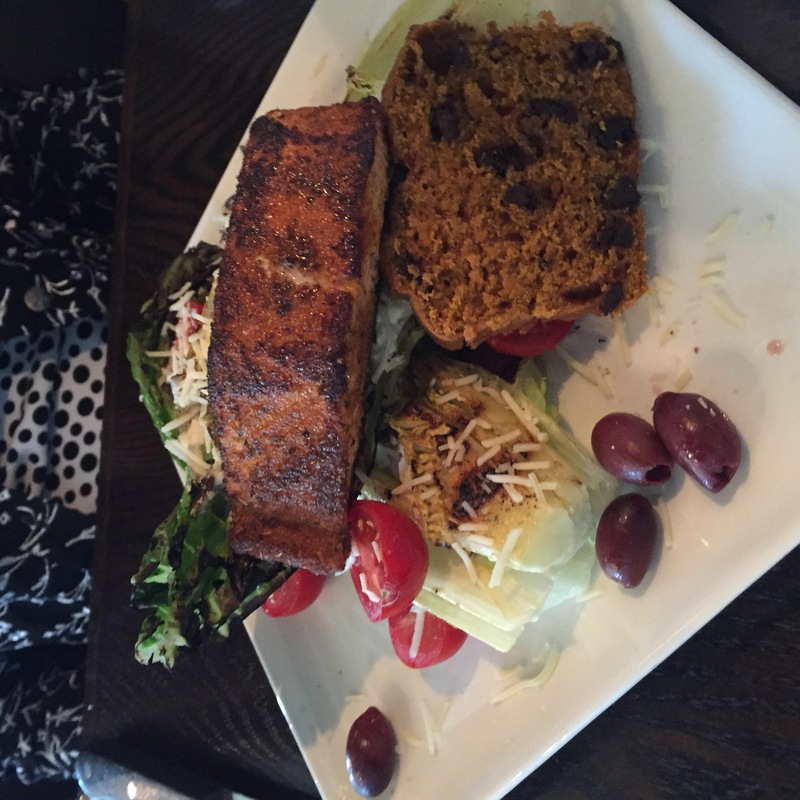 It highlighted the grilled heart of romaine, cherry tomatoes, red onions, kalamata olives, and croutons. Then it was topped with a tangy house-made Caesar dressing. She was more than happy with her entrée salad, too. A warm slice of bread accompanied each salad and hit just the right note. If you haven’t taken a trip to Plae Bistro since its renovation, wait no longer. If you’ve never been there, now’s the time. The atmosphere is lovely and the food is extraordinary. True Nosh or Truly Nauseous? You Decide! 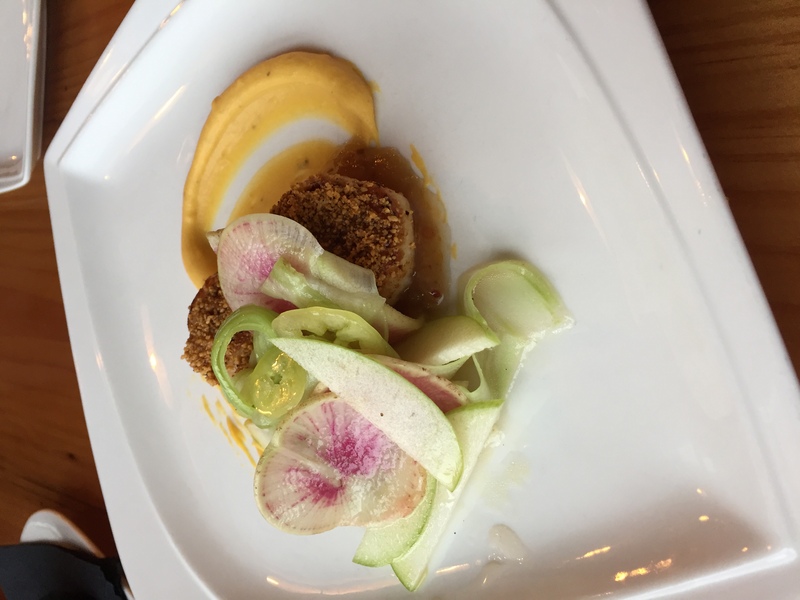 This entry was posted in Noshes Up North, Uncategorized and tagged Noshes Up North Review, Noshes Up North Series, Plae Bistro on June 18, 2016 by MaryGrace. 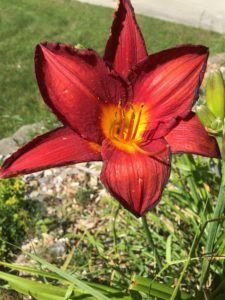 While enjoying the warm sun of this beautiful day, I started anticipating the arrival of lilies in my garden. Here is a picture of one of them from last year. 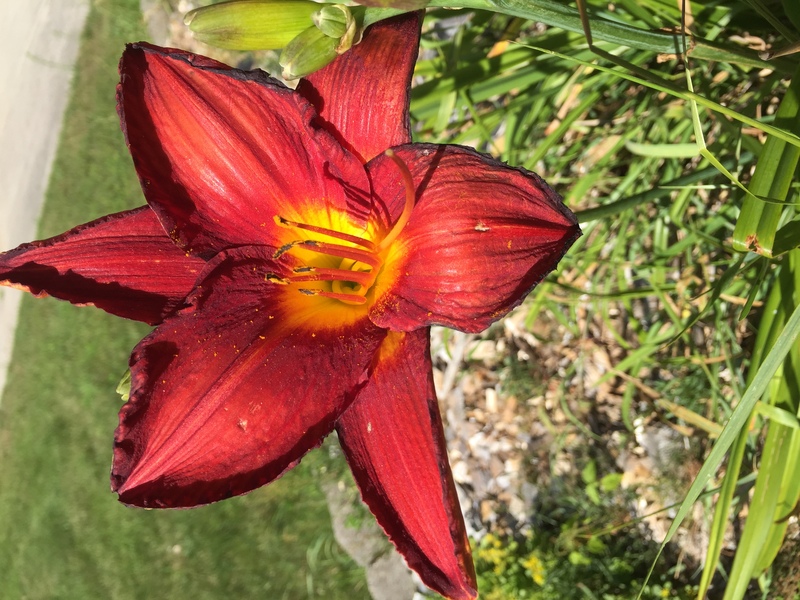 I hope this year’s flowers are as captivating. 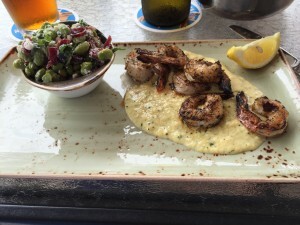 The Waterfront Restaurant in Anna Maria, Florida is one of our favorite places to dine when my friend and I are there on vacation. One can relax with a nice view of the water while enjoying their delicious food. On this outing, my friend ordered the grouper tacos, which were fresh premium black Gulf grouper seasoned and lightly seared in flour tortillas. It was served with jicama slaw and fresh chopped pico de gallo. She said it was the best grouper she had ever eaten. I ordered the Cajun shrimp served with a Floribbean sauce. It was spicy with a bite, but that’s why I liked it. We both had edamame salad, which was delightful. 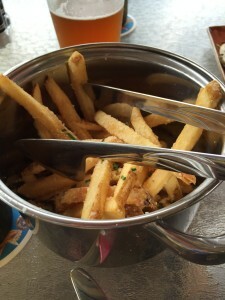 I also ordered truffle parmesan fries to share. What a treat! I had a glass of Jai Alai IPA which has the grapefruitty zing that I love. We both loved our meals and plan to return. 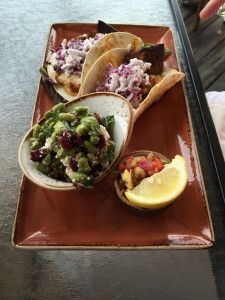 This entry was posted in Florida 2016 reviews, Uncategorized and tagged Anna Maria, Florida, Noshes Up North Review, The Waterfront Restaurant on June 4, 2016 by MaryGrace.